The wonderful people over at Pepperidge farm sent over some Fun & Easy Easter treat ideas anyone can make! Check them out below! 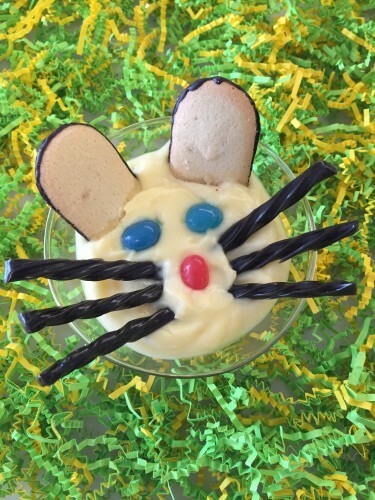 Top off your favorite pudding cup with two Spring Milano cookies to create a pudding bunny treat complete with edible ears! Place a few jelly beans as eyes and a nose, add some licorice whiskers, and you have a delicious and festive pudding snack to share with the whole family! Fill up a pastry bag with Cheddar Goldfish crackers and tie with a green ribbon. These Easter carrots are one of the easiest treats to make and your little bunny will be grinning from ear to ear. These are such cute ideas 🙂 I am going to make the fishy carrots for my daughter’s class. Thank you! These are so cute! Definitely will be filling the kids baskets with these! 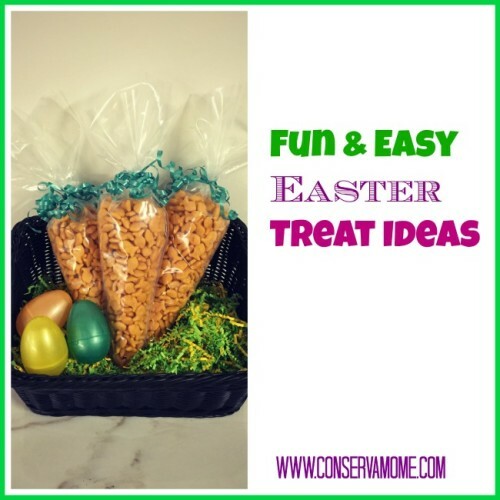 Love these cute Easter themed treat ideas! This will be something to do with my grandson this year. My kids will love the goldfish crackers in the carrot shapes! 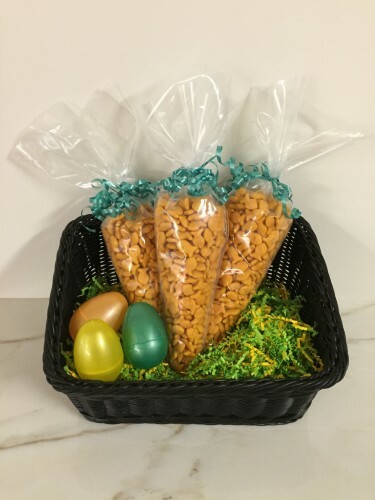 Love your Easter ideas, thinking about doing the goldfish for my daughters class this year. thanks! I love the goldfish cracker carrot bags. These are adorable! Thank you for the ideas! Really cute ideas. We have a bunch of toddlers coming here for an egg hunt I may have to make something! Cute ideas. I really like the goldfish carrots. Oh the pudding one is adorable! I love the cheddar crackers in the pastry bag idea. What a great alternative to candy. Good Ideas for Easter. I especially like the Milano cookie bunny ear pudding cup.